The charitable establishments given in favour of the poor in the Parish of New Alresford are not very considerable. The earlier charities are all recorded on the front panel of the old west gallery, now removed and preserved in the organ vestry against the south wall. William Pink, who had been a poor vagrant and received frequent kindnesses from the townsfolk of Alresford, left the sum of twenty pounds in his Will when he died in 1670 [I wonder what the “Big Issue” seller will leave the townsfolk in his Will in these days – Ed]. James Withers, a considerable tradesman in the town, who died in 1680, also bequeathed the sum of twenty pounds [showing that private enterprise and hard work does not pay maybe – but maybe there was a family need here too]. One of these sums was used to purchase a house in the Dean for the use of the poor, together with one acre of land in ‘the Marsh’. The income from these investments was distributed annually to the poor as directed. William Todd of this town, who died in 1681, left an annuity or rent charge of three pounds a year, being the income from five acres of land in Brook Furlong, and two acres of land in The Marsh. Also Jenny Harris, relict of William Harris [a popular name, William, obviously] of Arle Bury, by deed, declared the trusts of a sum of stock to produce ten pounds a year, in her Will in 1831. In 1853 William [!] Wilkinson left to the Rector and Churchwardens the sum of one hundred pounds, the interest from the same to be distributed annually. In 1862 John Dunn, by Will, directed his executors to purchase a sum of ‘consols’ sufficient to produce five pounds a year. And finally, Christopher Cooke bequeathed five pounds a year for distribution to the poor, “subject to the deduction of one pound to be given to the minister who shall deliver a sermon on the 26th June when that day shall fall on a Sunday” [Maybe the sum should have been allocated by reason of the work he would have to do to distribute the rest of the fund, responsibly!]. In October 1823 a scheme for the regulation of the eight old charities belonging to the Parish of New Alresford was established and agreed in consultation with the Board of Charity Commissioners [quite an achievement from my impression of their powers: but the booklet did not say what happened to these Church Charity Funds and Investments]. In the late 20th/21st Century, the significance of the Church in providing poor relief had been much diminished. Today the Churches seem to have become a sink for money, requesting funds to go towards appeals for a new roof, or tower, or Bells. 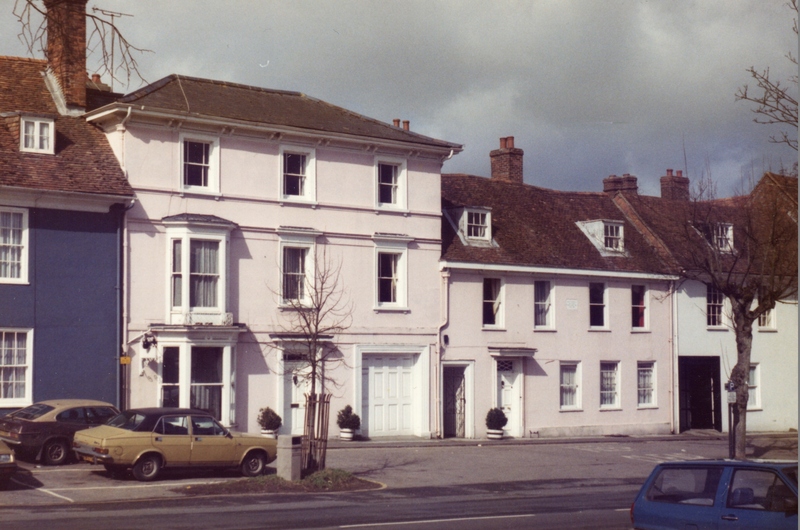 But maybe following the “pink” lead of William Pink, the Alresford Pigs were formed. The mantle was handed on: no longer is it deemed necessary to rely on the income from property, the Pigs use a different model. In Alresford, for the last 40 years (ie since 1974) the local organisation of benefactors, known as the Alresford Pigs Association, raise and distribute money in the town. The logic is that the members of this organisation, typically men who are working in their own careers, but want to help their community in their own time, raise money through their own efforts from the local community, and distribute this back to those who need help. Over recent years, by organising the Duck Races every other year, the Christmas trees on the shops every year, and marshalling people and parking, amongst other things, at the annual Alresford Agricultural Show, the Alresford Pigs have raised over £12000 a year, and distributed this, totally within the local community. A similar organisation also started up in Alresford just over 30 years ago, with the local branch of Rotary. Here the model is similar, their fund raising activities include the 10K run and the Town Fireworks display at Arlebury Park: Rotary has a wider distribution network for the funds raised – around 50% of the money is used for the benefit of local residents, and the rest is distributed worldwide. Recent projects have involved several of the local schools, for example they re-built the school pond at Sunhill Junior/Infant schools. This organisation has come full circle. Originally comprised of the Bailiff and Burgesses in the town, until the 1890s, when most of their responsibilities were taken over by the Town Council, they probably were the major benefactors to the poor in the 1800s, in co-operation with St John’s. Today the NATT is a Charity run by elected members of the community, trustees administering the assets and land held by the Charity, for the good of the community. They also offer a method for members of the community to offer direct help, in the form of driving the Minibus for community activities. Since 2013, through the generosity of a benefactor, the NATT have been able to offer Emergency Funding, ie cash grants for people in Alresford that find themselves in financial difficulties. There are many other organisations in Alresford who work to support the community. Examples might be the ADCA, (the Alresford & District Community Association), the Giles Group, and the Edward Pay Fund (a charity based around the town surgery). Already, perhaps not trusting the official National charities to be sufficiently focused on the local area, the Pigs, NATT, ADCA, and the Giles Group have benefited from specific bequests and donations within the Wills of people in the town, and from organisations like the Co-operative Stores, who are the best example of businesses who return some of their profits back to the local community. Interestingly, the Solicitors who deal with individually drafted Wills sometimes find a non-specific clause where money is to be left to ‘a charitable cause’, otherwise undefined. So these solicitors have set up their own systems for allocating this money, and the Giles Group, for Alresford disabled people and their carers, is one charity that has benefited from such a non-specific bequest. For the future, probably there will continue to be people wanting to follow William Pink’s “pink” example, maybe not quite from the same circumstances! So there are able and willing volunteers wanting to help distribute the charity funds. Hidden messages from the past. There are many messages left in hidden crevices, or in bottles thrown into the sea, and maybe some are still waiting to be discovered. Even in Alresford! 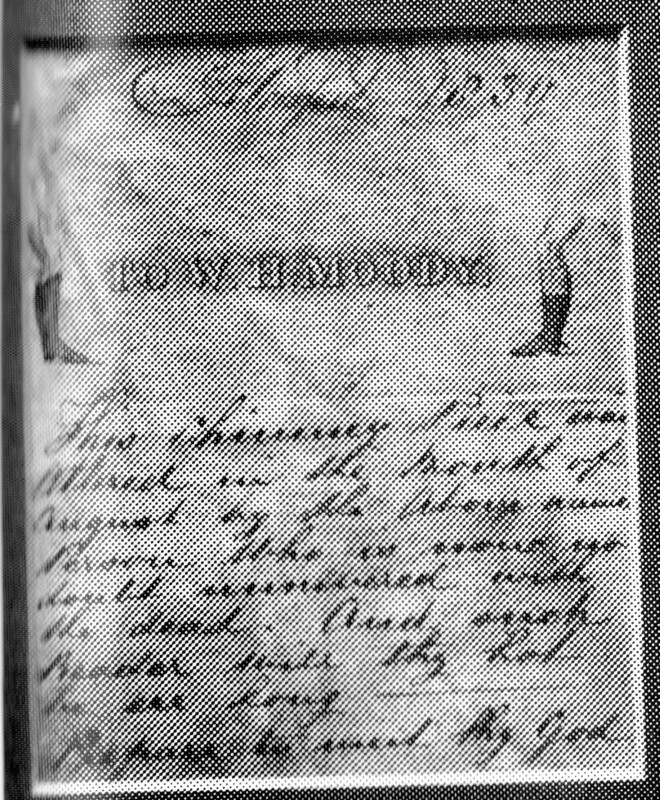 First we have a Happy New Year message from January in 1860. Back in 1955, at 25 Broad Street, builders doing some alterations to the house found a message hidden in a bottle, left in a wall cavity. A vintage photocopy of this message was passed to the Alresford Museum recently by George Watson, now living in Makins Court. The message was from earlier builders, who were working on the shutters at the house, and sealed the bottle in, possibly behind those shutters, on 13th January 1860 (according to a note added at the top of the paper) with a message to future generations, wishing them a Happy New Year. Linens, Moreens, Chintz Furniture, Blankets, Counterpanes etc. Footnote: An advertisement for H.C.Baker in the 1898 and 1899 Alresford Parish magazine advises that: “H.C.Baker has a lot of Bedsteads, Bedding and Bedroom furniture, besides many handsome pieces of furniture suitable for Reception Rooms, purchased at the sale of the late Canon Poole, West Meon Rectory” – address for viewing quoted as Tottenham House, Alresford. The Recipe Book “A Taste of Alresford” was published by Sally March in Alresford in 1985, on behalf of Oxfam. One of the recipes was provided by Maggie Roper of Broad Street – it dealt with Braised Partridge and Cabbage. The book records that David and Maggie Roper lived at 19A Broad Street, reached by a long narrow passageway opening onto the street. Overlooking the street on the first floor are high, airy, well-proportioned rooms, while behind them the original cottage has small low-ceilinged, cosy rooms. In restoring the sitting room in the cottage the Ropers found a message on paper fastened to the old chimney breast. Not a happy, friendly sort of message! The book also comments that because Broad Street was originally wider than it is now, in the passage way could be seen the cobbled, old road, and the line where the old house bricks began.